International Design Center NAGOYA Inc. The Design Gallery will close temporarily for facilities renovation of the 4th floor. *Inquiries are accepted as usual. 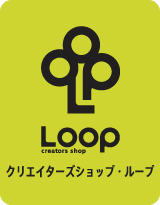 creators shop Loop: Reopens at CREARE B1f on April 26! The creators shop Loop ends the 11th session on March 11 2019. After at temporary closure for shop renovation work, receiving new tenants, the shop will relocate/open at CREARE B1f from the 12th session on April 26 2019. The Creative Business Space Chord is closed with the completion of the 3 years project period in March 2019, and renovation work will be carried out until the end of June 2019 (tentative). The Collection Gallery (Former Design Museum) is closed on December 27 2015. We thank you for your continuos support.